Because we entertain so frequently and love to be outdoors, we are always looking for new lawn games to play. One of the issues we come up with frequently is finding something that both the big kids "aka adults" and the little kids can both enjoy. Even if the kids aren't trying to join in with the grown ups, we still like to have enjoyable options for them as well! I was pretty excited to give something new a try which I had recently stumbled across called RingStix. RingStix is a challenging yet fun game for all ages which is exactly what we are always looking for! 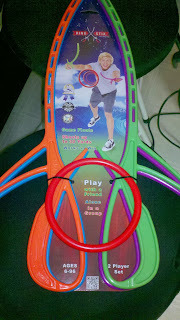 Using a set of sticks which are curved, you are able to play a new form of frisbee solo or with several others! There is no limit to how many can participate and you can easily play/practice on your own! 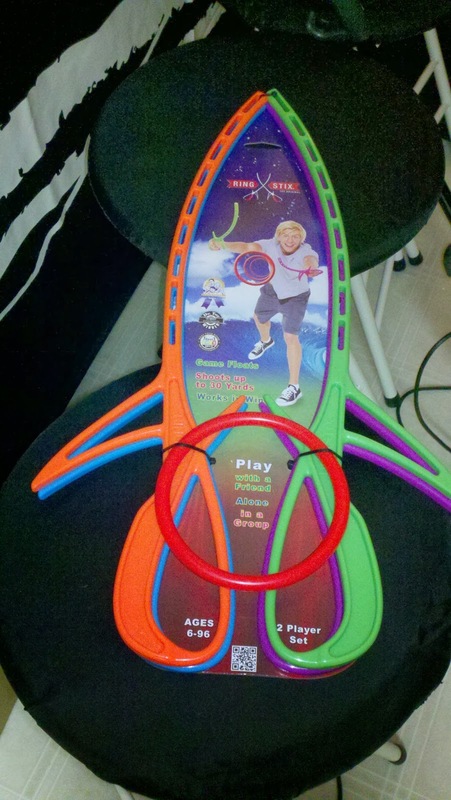 RingStix LITE can shoot up to 30 yards and even floats in water for play in the pool or at the lake! Although we have been limited on how many times we were able to go outside to play here just yet being that we are in Michigan, I cannot wait for the Summer to play this a bit more frequently! Even Dane was able to play this after a bit of practice and he has been practicing indoors over the last few weeks! Recommendation: We thought this was great especially because it took a little to learn and everyone could play it. I really cannot wait until the spring so we can get the games started. This is also a very inexpensive game to get your family and friends outdoors like they should be! My family thought these were awesome and so will yours! Giveaway: RingStix is going to give one of A Lucky Ladybug's lucky readers a set of RingStix of their own! 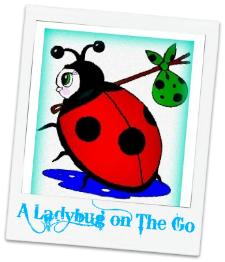 I think your blog is easy to read at times, I have times with the color blue, but your background makes it a lot easier to read, I will continue to read A Lucky Ladybug blog.